Good things are happening at the University of Michigan-Flint. Yet another major Downtown project is underway that will benefit students and the community at large. 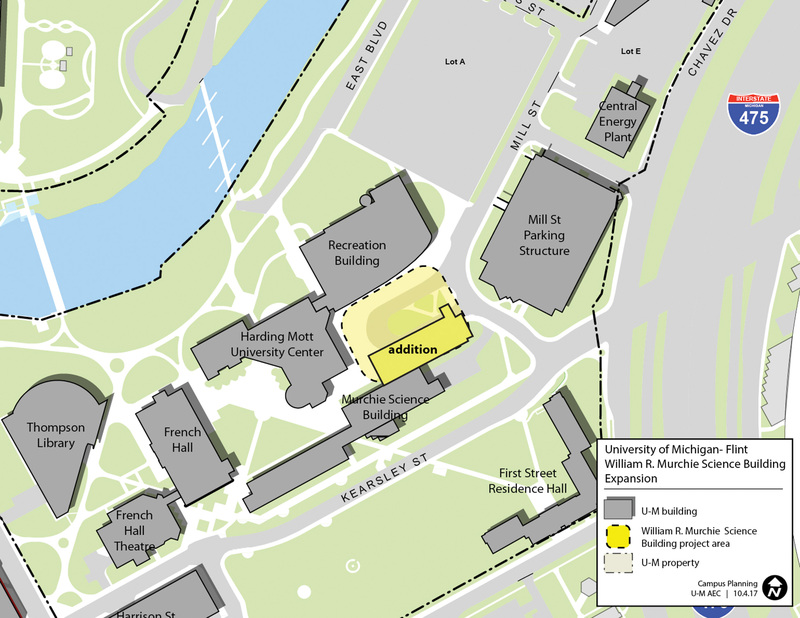 UM-Flint Chancellor, Susan Borrego, is proud to announce the latest Downtown development, the expansion of the William R. Murchie Science Building – home to thousands of students in the STEM (Science, Technology, Engineering, Mathematics) program. A Groundbreaking Ceremony is set for October 11 at 3pm, open to all campus and community members. Designed by Architect, Harley Ellis Devereaux in Southfield, the expansion is expected to be complete in January 2021. The need for the expansion came about for many reasons, according to Borrego. Students majoring in STEM have increased well over 50 percent. The number of graduate students majoring in STEM has also increased. By 2026, the University is projected to have 700 more STEM students. In addition, every student at the UM-Flint is required to take at least one natural science lab class. 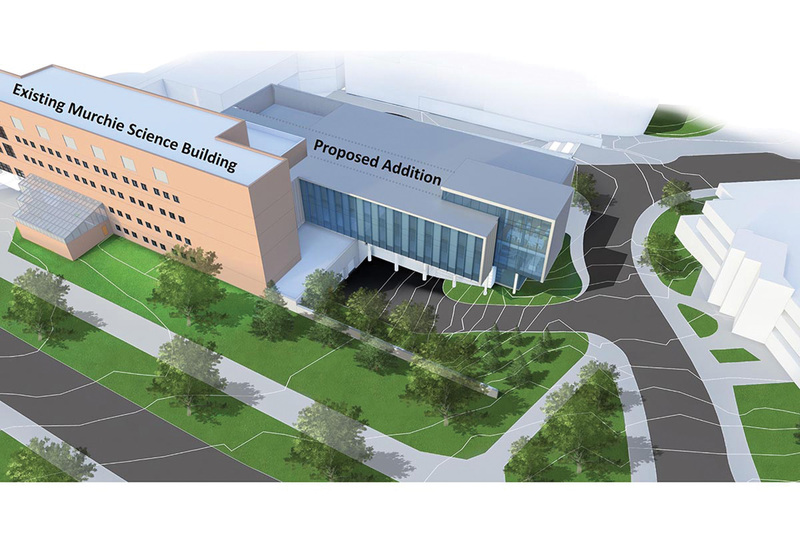 The project will expand the Murchie Science Building by 65,000 square feet with the addition of a third wing that will house the majority of the STEM program for the campus. “It’s pretty impressive,” says Susan Gano-Phillips, Dean of Arts and Sciences. “It is much needed space that will take instruction to a new level.” She also said that the College of Arts and Sciences is ecstatic about the additional wing. The total cost of the William R. Murchie Science Building expansion is $39 million. The Charles Stewart Mott Foundation supported the expansion with a generous $8 million grant. State Appropriations awarded $30 million to the project, but approximately $2 million still needs to be raised. Gano-Phillips says they are working on a variety of opportunities such as a Donor Wall, naming opportunities, or possibly, a commissioned piece of art.